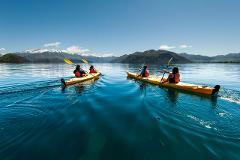 The Southern Explorer – Fully guided full day kayak tour on Lake Wanaka, power boat assisted. 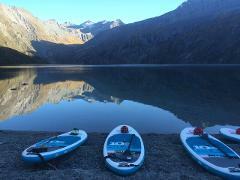 Stand up paddle board tour by helicopter into the stunning Southern Alps to a secluded alpine lake. 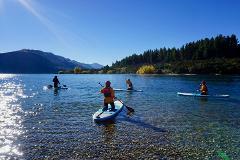 A private one to one stand up paddle board instruction session. 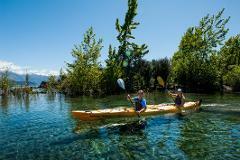 SUP River Taster – Fully guided stand up paddle boarding (SUP) (half day) on the Clutha River, ideal for beginners. 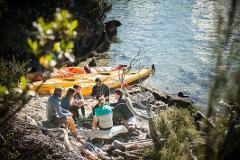 SUP River Tour Lower Pro – Fully guided stand up paddle boarding (SUP) (half day) on the Clutha River - designed for the experienced Stand Up Paddler. 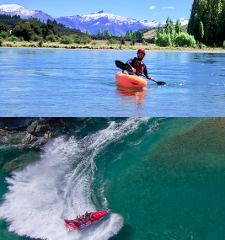 Experience the Clutha River Two Ways - Kayak followed by a Jet Boat! 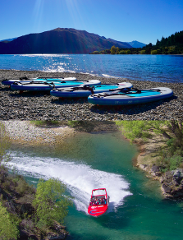 Experience the Clutha River Two Ways - Stand Up Paddle boarding followed by a Jet Boat!